1) We are developing ‘smart pills’ containing nanites (micro-sized pre-programmed robots) which can be instructed to look for fractured bones, ruptured blood vessels, damaged lungs, hearts or eyes and repair them; or even seek and destroy cancer. 2) Artificial Intelligence - This technology involves the creation of machines that possess artificial consciousness or self-awareness like humans. Through the help of artificial intelligence, analyzing data through complex computer models becomes possible. Artificial consciousness is envisioned to come out in the field of robotics, such as a robot maid that can perform household chores. 3) OLEAD Display Screens – contain flexible sheets of organic, electroluminescent material that is far thinner (about the thickness of wallpaper) to project imagery using light contained within its own material. You could literally have a TV screen the size of an entire wall in your living room, without a 'bulky-style' flat screen monitor. 4) We are developing holographic computers that can operate the same way as a touch screen monitor but without the use of a physical screen. 5) We are creating ‘augmented reality’ where you can point your smart phone at any location and with the camera, scan the location and find out with a touch of a button, everything that the camera sees and identify it for you on the screen. It’s something like the Star Trek tricorder that can analyze and process information. 6) Trans-humanism, an intellectual and cultural movement supporting the use of science and technology to improve human mental and physical characteristics and capacities, is becoming more of a reality than ever before. The once way-out philosophy is quickly becoming mainstream, an accepted part of the social conscience that is the new religion for the anti-religious, including its own Messianic vision. There are many aspects to the trans-humanism philosophy, including physical longevity through medical breakthroughs and/or merging mankind with machines. Many trans-humanists advocate transferring the sum total of a person’s knowledge and experiences into a computer and recreating the individual as a form of artificial intelligence (AI) in order to extend an individual’s life. 7) Social Television combines television viewing of your favorite programs with Social media, so that while you and your friends are watching, you can comment on the program the way you would on Facebook or Twitter. 8) And wireless tech is quickly making cords and cables a thing of the past: everything from our home computers to televisions to stereo systems and more. Even wireless electrical energy transfer from integrated power systems in the walls of our homes directly to appliances without the use of cords. 9) Six-core processors are a genuine upgrade in the current lineup of quad core CPUs. This advancement means that computers and battery powered devices can function up to 10x faster, using a fraction of the power, and process data with far greater efficiency. 10) Deep data mining refers to the strategy of data collection that involves analyzing patterns as well as predicting and influencing behavior. This technology will soon help commercial and government enterprises to predict the psychological profiles of individuals, the way Pandora analyzes Internet users’ personalities through their favorite movies and music. The purpose of this technology is to understand (and control?) human nature more easily. Yet as amazing as these things are, I have something in my pocket that blows all of that away: It’s a capsule about four times the size of a grain of rice. It has enough pre-programmed information and self-replicating material in it to develop a mechanism which will produce oxygen as well as fuel for heating purposes and it can even a produce a viable food source. Within the food source there develops even more of these capsules, each of them capable of creating more such mechanisms, which in turn can function in the production of oxygen, fuel and food. This capsule is – the common apple seed. God has created these seeds, complete with billions of bits of DNA data and programming to design and build a biological mechanism called a tree, that cleans the air of carbon dioxide, creates oxygen, bears a food source - fruit and leaves, and a source of fuel in its wood. These apple trees produce “after its own kind” as it states in GENESIS 1:11-12, 21, 24-25 and these have replicated for thousands of years, efficiently and effectively, creating these resources. The fact that various animals remain the same “kind” and don’t evolve into other “kinds” is irrefutable evidence disproving what has been dubbed ‘macro-evolution’. Ray Comfort of Living Waters ministries went to a university campus, challenging both students and faculty to prove Darwinian evolution in evidence of one “kind” evolving into other “kinds” – and no one was able to provide proof, or a convincing answer. 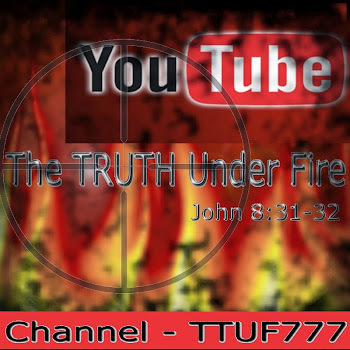 You can watch this video, Evolution vs. God, here on youtube. Seeds produce an enormous variety of plant and animal life, and of course, humanity – the infusion of egg and sperm seed is what enables life as we know it to exist. The LORD God in His awesome wisdom and knowledge created what we call the human genome; information programmed into just one set of human chromosomes contain about 3 billion base pairs of DNA in 46 chromosomes. The total length of DNA present in one adult human is the equivalent of nearly 70 trips from the Earth to the Sun and back! Think about how much genetic information is contained in the over 6 billion people on this planet!! For more about God, the author of DNA, check out this article. The LORD Jesus Christ taught in the parable of the sower of the seed, that the seed is the Word of God; and like physical seed, this seed which is the Word of God, produces “after its kind”. These are character traits of the LORD Jesus Christ, the personality profile, of the Word made flesh, and as we sow the seed of the Word into our lives, the Word will perform its effective work, building in us the nature of Christ. Why is it so important that we produce these character traits of Jesus, “after His kind” in our lives? First of all, the production of the fruit of the Spirit in our lives brings glory to God our Father (JOHN 15:8); producing such fruit is the requirement of being His disciple (ISAIAH 61:3). Secondly, as we saw in 1 COR. 13th chapter, if we offer up service to the LORD and others with any other motive than God’s love operating through us, it is worthless and such work will not receive any commendation or reward when we stand before the Bema Seat of Christ (the judgment of rewards of the saints; ROM 14:10; 1 COR 3:10-15). Genuine service empowered by God's love will render reward to the saint, bringing further glory to God! Thirdly, God wants holy servants with hearts of love for yet another reason: The LORD desires servants who while serving Him, will learn of the LORD, Who is Himself The Supreme Servant! As we are growing in the grace and knowledge of the LORD Jesus Christ (2 PETER 3:18), the seed of the Word produces in us “after His kind” the sort of attributes that make us qualified not only as God’s servants, but as leaders, rulers in God’s eternal kingdom! Think about Who Jesus is, what He is like: Where can you find a more qualified ruler anywhere? It is because of His nature of holiness, love, truth, grace, compassion, justice, patience, wisdom, etc. etc. that makes Him the best leader, quite actually second to NONE! As God makes us more and more like Jesus, He is making us more and more suitable as leaders in His coming eternal kingdom! 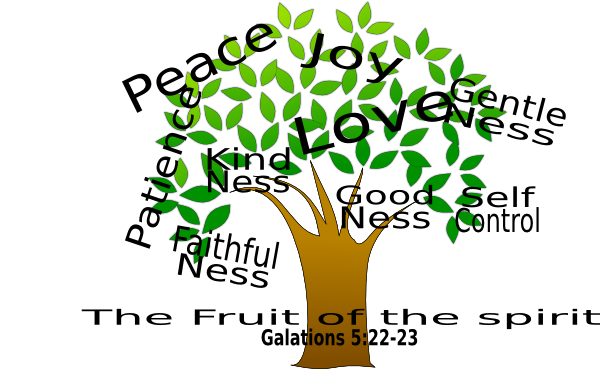 The fourth reason why we need to bear the fruit of the Spirit is because what this lost world really needs, and whether or not they realize it, the very thing this fallen, sinful humanity is looking for: (1) a peace that passes all understanding (PHIL 4:7); (2) unconditional love (EPH 3:17-19); (3) forgiveness via grace for a clear conscience, freed of guilt, shame and addictions (ACTS 26:18); and (4) a hope for the future in a dark and dreary world that only seems to be getting worse (2 THESS 2:16). Such fruit in our lives will attract the lost who are hungry and thirsty for these blessings as we have in Christ! 19 When any one hears the word of the kingdom, and understands it not, then comes the wicked one, and catches away that which was sown in his heart. This is he which received seed by the way side. The enemy will seek to take the seed of the Word away from us, so that it cannot perform its work in us, and bring forth fruit “after His – the LORD Jesus’ – kind”. We know the mission of the enemy: to steal, to kill and destroy (JOHN 10:10) and devour (1 PETER 5:8). We have to safeguard our time to read and study the Word – the enemy will attempt to distract us, fill our time up with other things, leaving no time for sowing the seed of God’s Word into our hearts. 21 Yet hath he not root in himself, but endures for a while: for when tribulation or persecution arises because of the word, by and by he is offended. We must be sure that we have no areas in our hearts that are hard and “stony” where the root of the seed cannot penetrate. We must be soft, pliable, yielded, obedient to the LORD – if there are areas of hardness, stubbornness, secret and unconfessed sin – the seed won’t be firmly rooted and grounded in us and we can’t be firmly “rooted and grounded in [the] love of [God]” (EPH 3:17). Such a state will render a person susceptible to intolerance toward hardships (“tribulations”) and persecution, and as a result, these will fall away. May we allow the Word of God to work effectively in our hearts and lives, may the seed bury so deeply that the enemy can never dig it out! May we implore the LORD to search our hearts and remove anything that offends, or hardens us through the deceitfulness of sin (HEB 3:13). Those who care about the riches of this world and the treasures that the enemy will lavish on those whom God is seeking to draw to Himself, in order to distract them from spiritual reality in Christ, will effectively choke out the seed of God’s Word. We are pilgrims, travelers through the foreign land of this sinful world, on our journey Home, and should have no passion for things of this world that would choke out the life that Christ wants to impart with greater and greater measure – we are risen with Christ, with new life that He has given already by His Spirit; we are dead to our sinful self by faith. The enemy wants our spiritual life dead; with Christ, our sinful life is dead. 23 But he that received seed into the good ground is he that hears the word, and understands it; which also bears fruit, and brings forth, some a hundredfold, some sixty, some thirty. Now note what it said in verse 19, about when the seed is sown, the one who receives it, doesn’t understand it – he hears it – but he doesn’t understand it, and compare this with vs. 23 where the one who has good ground, receives it and DOES understand it. What understanding of the Word can we truly have without the ministry of the Holy Spirit giving us His guidance? That guidance is available to any who will seek and love the truth (1 PET 1:22). 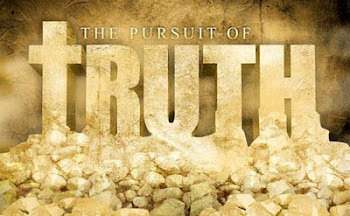 So those who don’t understand the Word at all, are those who don’t seek truth, because they don’t care about the truth. The good ground is ground that is not fallowed (hardened due to lack of rain; HOS 10:12), but ground that is tilled soil and soft, with stones and other things that would stop the seed from growing removed. It is prepared soil and ready for sowing of the seed. Hearts that are prepared with repentance, who have a softened heart towards the LORD, willing to receive Him, have been plowed by the convicting blade of the Holy Spirit – these sort of people constitute “good ground” and will yield fruit as a result of the seed planted. They will produce by the Spirit of grace, a life "after His kind". Homework assignment: Do a study on JOHN 15 and see what the LORD will teach you in that chapter!